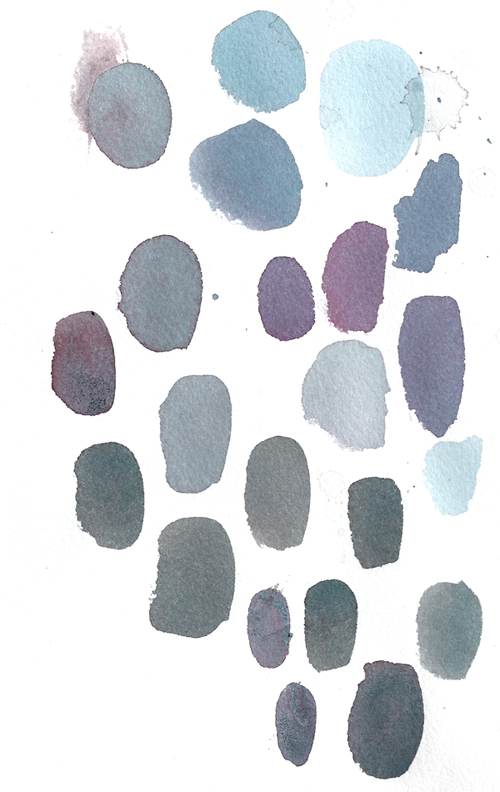 While working on a painting last night, I started to notice the neat little blotches and colors on my test swatch. There’s something so cool about the way the different pigments settle in their little puddles at different rates. 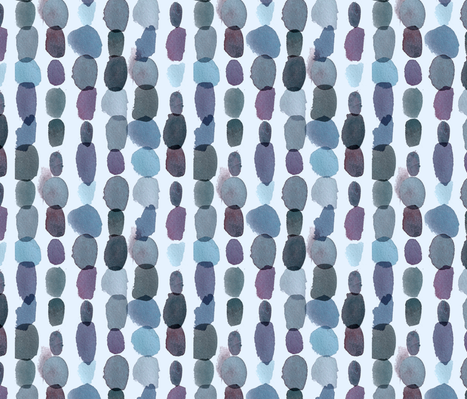 Inspired by the work of fellow alum and friend Mia Christopher (who had some of her test sheets made into textiles by Anthropologie), I decided to scan the little ink pebbles and play with them. I also highly recommend you check out Mia’s stuff; she updates her Flickr pretty routinely. 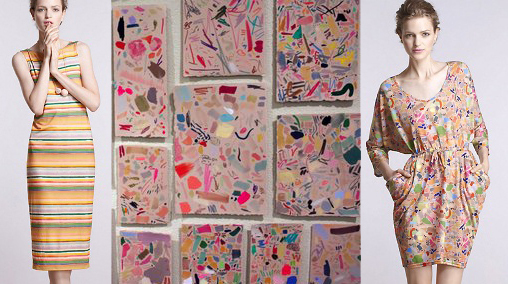 Some of Mia’s test sheets, and the resulting clothes. So cool, right? After a few minutes of futzing, I came up with something I liked. It reminds me of balancing stones on top of each other. Pretty decent, considering I’m just distracting myself from the real work I need to get done. How creative. Funny how you discover things without intending to?